When it comes to choosing the setting for your engagements, there are two factors which influence the ambiance the most: your venue and the season — and your choice of either factor does boil down to your preferred theme and setting. Today’s post has been written with those who prefer the cozy and familiar ambiance of a winter home engagement shoot. 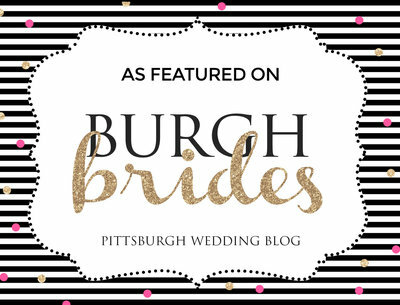 In it, I will be providing a few professional tips on how to get the very best out of your haven in order to experience a thoroughly enjoyable Pittsburgh engagement photography session. Pay attention to the lighting: Choosing the spots with the best lighting in your home is always important. However, this consideration becomes extremely so during winter in order to ensure your engagement photos are able to fully capture the beauty of the decor especially prepared for the moment. Get creative: One thing I’ve discovered while working as a Pittsburgh wedding and engagement photography professional is that a home engagement shoot is one option which comes with endless opportunities to get creative. You can simply strike various poses in your favorite outfits with heartwarming beverages in hand and the winter wonderland outside or your fireplace forming the perfect backdrop. Alternatively you could wrap up even more warmly and head to your garden to build the perfect snowman or to indulge in a snowball fight. Indulge in a bit of decorating: As any engagement photographer in Pittsburgh or anywhere around the globe can attest, a bit of decorating can add an extra special magical touch to your surroundings and those photos so don’t hold back if you’re up for it. Candles are amazing for evening indoor photo shoots and will provide a soft muted glow to the ambiance. Flowers are also another excellent option thanks to their beauty and color which are guaranteed to instantly brighten up any setting they’re placed in. And to incorporate the spirit of the season you could opt for winter blooms such as tulips, snowdrops, sweet pea, daffodils or camellia, all renowned for their delicate hues and allure. Planning your winter engagement photo shoot at home is one option which comes with loads of flexibility where decorative choices and outfits are concerned. And all you need to do is focus on the things that are the most enjoyable for you and let the magic unfold so you can get to admire those amazing photos afterwards.